The medical industry has never been more demanding than it is today, and so many of these burdens fall on the shoulders of the medical practice manager. Create a more efficient flow in your facility with these helpful medical practice management tips. So much of patient satisfaction and the efficiency of your medical practice depends on the people working for you. Aside from hiring the right people, you have to hire the right number or people. Some tasks at hand can be handled by one person at a time, and others are better off outsourced or delegated to a machine. Having just the right number of employees for your medical practice means that you: (a) save up on the unnecessary costs of unnecessary employees, (b) streamline your processes, and (c) increase the efficiency of your processes – something which will ultimately benefit your patients just as much as your practice. Overtime pay is one of the biggest things that throws any practice’s budget out of balance. More often than not, though, these overtimes are unnecessary and even unproductive for your employees. Explore new systems and solutions to prevent unnecessary overtimes. For instance, check how much of your existing paperwork is redundant and eating up too much employee time when it should not. Other times, the workplace is not optimized for productivity and presents far too many distractions for employees, causing unnecessary delays that ultimately lead to costly overtimes. Find ways to get the most of each shift with strategic task assignments, scheduling, and optimizing your workplace for maximum productivity to reduce the need for overtimes. 3. Cut down on the paperwork and fill in the gaps. Paperwork is one of the costliest, most time-consuming components of medical practice management. 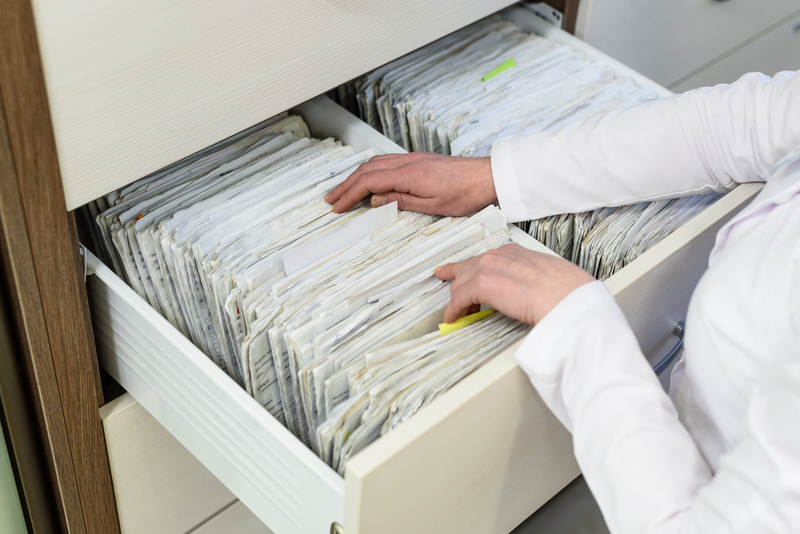 Alarming statistics show that healthcare providers have to fill in an average of 20,000 forms annually and healthcare organizations need to make 19 copies of every document, spending $20 for the labor of each of these documents. The same article also finds that 30% of patient charts are not found during visits, therefore requiring the re-filling in of these charts. With both the cost they incur, plus the time they take and the higher risk of losses, it may help to invest in electronic records to help lessen the occurrences of these costly losses and repetitions. 4. Get paid more efficiently. Co-pays and no-payments as well as problems with claims are one of the most frequent complaints and problems in medical practice management. Solve this problem by confirming co-pays and out-of-pocket payments right at the appointment confirmation stage. It would also help to contact healthcare insurance providers promptly to confirm claims to avoid lengthy and costly delays in the future. 5. Make a habit of confirming appointments. Patients not showing up to appointments without prior communication not only cost the practice – and other patients – valuable time, but it also costs the practice valuable income. Explore ways to lower your practice’s no-show rates and make a habit of confirming appointments ahead so you can make due adjustments and avoid the losses that come with it. Having the right people for specific tasks not only makes your practice more accurate, but it also helps prevent unnecessary delays due to repetitions and correction of mistakes. A study has found that web-based appointments significantly increase efficiency in medical practices on many fronts, including reduced no-show rates and wait times, as well as helping decrease staff labor among others. The gains of said automations greatly outweigh the costs of obtaining them. And this is just one area where automations can help alleviate many of the time-consuming and unproductive parts of medical practice management. Explore other time-consuming processes in your management that can also benefit from automation, like form-filling and billing to help improve your practice. There are many parts of medical practice management that can benefit from outsourcing, primarily linen and uniform services. Running an in-house laundry management system is not only costly to maintain, but it also requires additional investments in terms of space and labor. Save up on these costs by outsourcing the job to a linen service company that specializes in the care and maintenance of medical linens and uniforms. This way, you can easily focus on the core areas of medical practice management and not on making sure that you have enough patient gowns and sheets for the next shift because it is all taken care of by your medical linen partner. Medico Professional Linen Service offers comprehensive linen services for medical facilities and medical practices of all kinds and sizes. We provide rental and care of a wide range of professional uniforms and all kinds of medical linens. Learn more about how we can ease your medical practice management worries by calling 800.464.6334 today! The History of Medical White Coats Medico Opens State-of-the-Art Bulk Processing Facility!